For many photographers rangefinder cameras are some of the most simple, easy to use, unimposing and inconspicuous cameras available. Yet for those who don’t get on with them, they can distract from the process of photography and feel unnecessarily difficult and indeed limiting in use. Of course, there’s no right and wrong here, it’s all subjective and comes down to people’s simple preferences. But there are good reasons why both sets of opinions exist. As such, I thought I might unpick some of this with a little guide to the rangefinder camera. 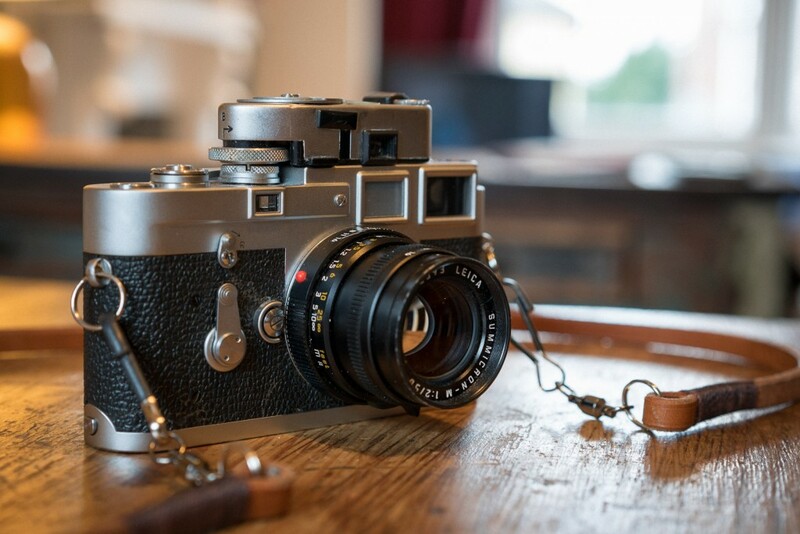 1.2 The pros and cons of the rangefinder camera concept? The short version is that rangefinders are manual focus cameras that are focused through the use of a mechanical coupling between the lens and camera body, which via the rangefinder mechanism displays a focusing aid known as the “rangefinder patch” in the viewfinder. 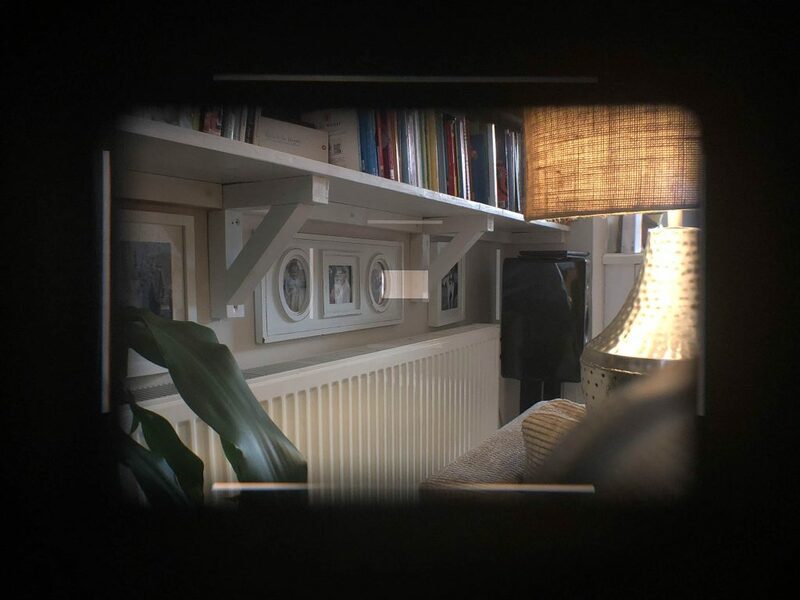 The viewfinder is offset and therefore doesn’t allow a view through the lens itself, but instead displays frame lines that correspond to the lens attached to the camera with the rangefinder patch in the centre. The rangefinder patch overlays a second image projected from a second smaller rangefinder window on the front of the camera. By changing the focus on the lens the mechanism in the rangefinder allows the user to line up the two images in the viewfinder and as such effectively triangulate the subject distance and therefore attain correct focus. I shall come back to all this “offset viewfinder”, “patch” and “frame line” stuff later in the post. For now I mention them to initially highlight just how different the user experience these cameras offer to SLR cameras. If anything, shooting a rangefinder is probably closer in experience to shooting a compact with an offset optical viewfinder but with the added benefit of a theoretically perfect and direct focus confirmation in the viewfinder. 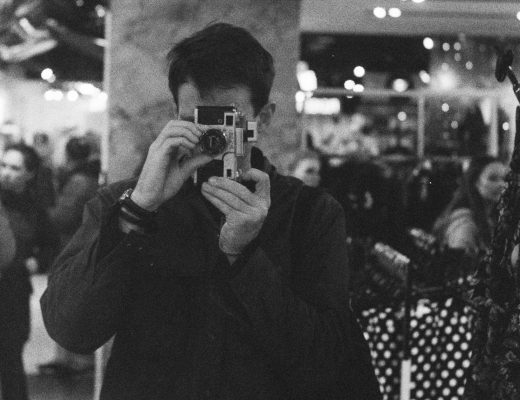 I say theoretically as the concept of the rangefinder camera is not without its flaws. 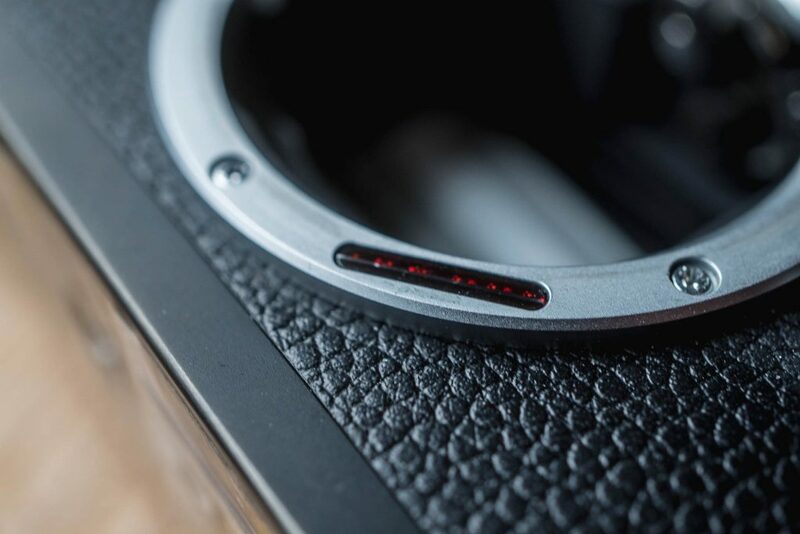 I recently published a post by Alan Starkie of Cameraworks-uk who talks in more detail about the inherent flaws in the rangefinder concept and how it’s fraught with potential for failure. The short version is that because you’re not focusing by looking directly through the lens, any flaws or miscalibration within the lens and/or rangefinder can cause missed focus. That being said, as mentioned, assuming the system is well calibrated, it does make for a very viable system for attaining perfectly accurate focus. The pros and cons of the rangefinder camera concept? As I’ve alluded to, pretty much everything there is to say about the user experience of a rangefinder cameras is subjective. As such, it’s very hard to divide all there is to talk about specifically into lists of pros and cons. Even with a theoretically ideal on-paper specification of a rangefinder for a given photographer, it would still be impossible to determine if they’re going to like one of these cameras in practice without them trying one first hand. That being said, there are a few well defined attributes that come along with the rangefinder system that on face value might or might not appeal. Sit a Olympus XA next to Nikon F2 and you’ll see what people mean when they say rangefinders are smaller than SLR cameras. 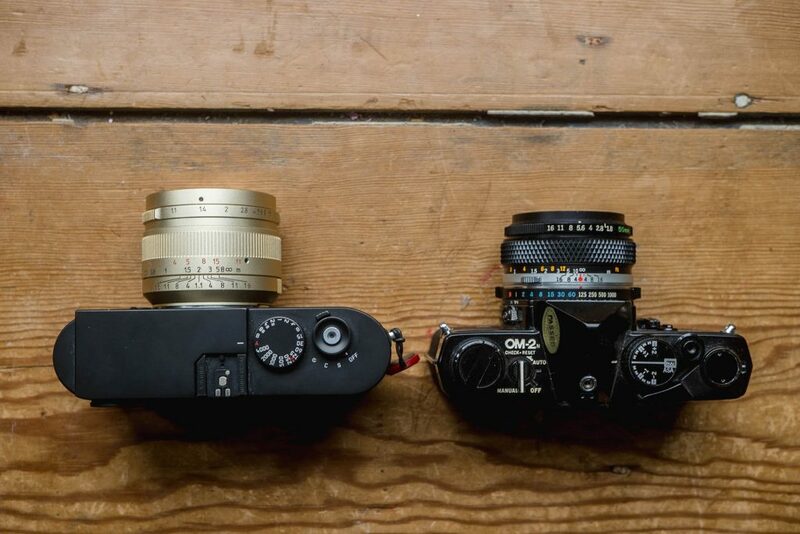 Sit a Olympus OM series camera next to a Leica M series camera and you might feel a touch differently. 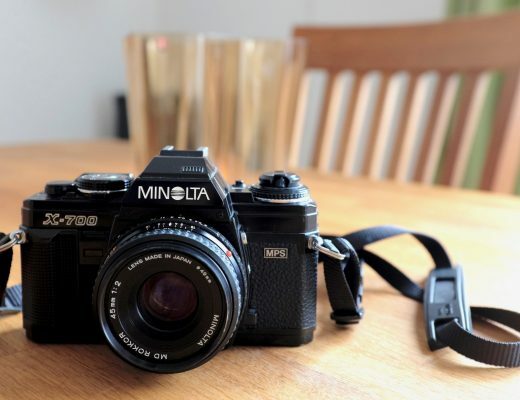 The idea that rangefinder cameras are smaller than SLR cameras isn’t always true, but what is true is that the nature of a rangefinder can allow for smaller designs that still retain the direct lens-coupled focusing aid. 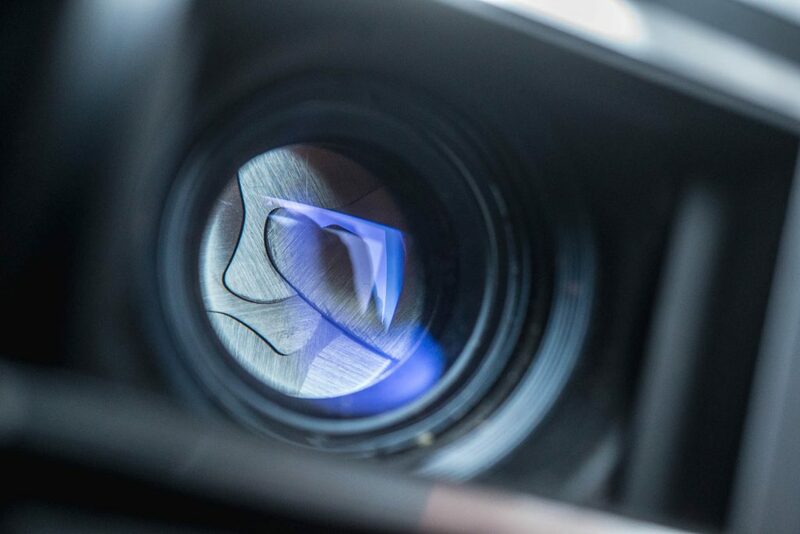 Single lens reflex (SLR) designs require the camera to have a combination of a mirror and a prism to reflect the light that comes through the lens and into the eye behind viewfinder. As mentioned, rangefinder cameras have an offset viewfinder with its own window on the front of the camera. The rangefinder mechanism within the camera takes up a lot less room than the mirror and prism and can be shrunk to fit small cameras with ease – all be it at the cost of focusing accuracy (see “effective base length” below). 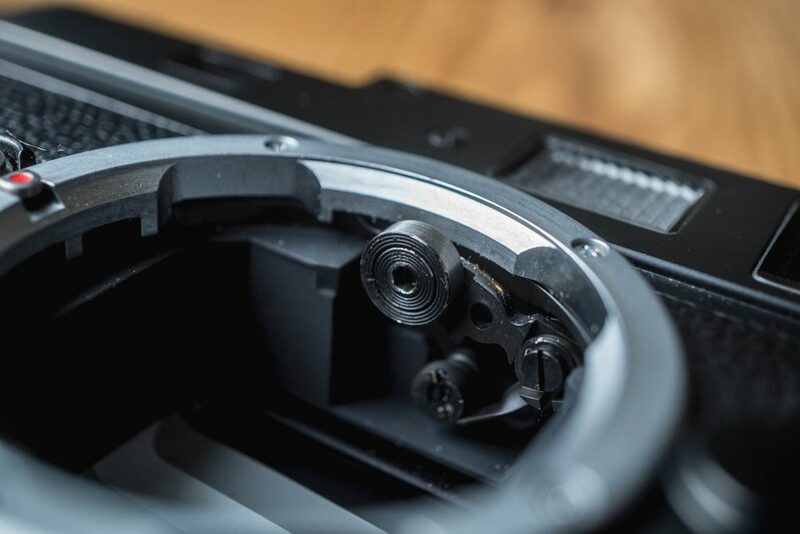 The knock-on impact of not requiring a mirror also allows lens to be smaller. The mirror box part of an SLR means that different optical formulas are required. Lenses designed for rangefinder cameras can have rear elements that jut right back into the camera. If you were to use similar lenses on SLR cameras the rear elements would foul the mirror. The result of this is that SLR lenses can (not always) be quite a bit bigger. This in turn impacts on how the lens lens balances on the camera. With rangefinder cameras often having smaller lenses, there can be a greater sense of balance to the camera in the right hand rather than the lens in the left hand. This isn’t always true of course, and whether or not it feels right to one person or the next will still be subjective. For my personal tastes I much prefer the smaller lenses of rangefinder cameras. As much as I appreciate the balance in the hand, the smaller size of lens also allows the camera and additional lenses to be stowed or tucked inside a coat easier. The potential for the camera to be a smaller size, and indeed the lenses themselves being smaller is also often quoted as making the cameras more discreet in use and therefore potentially more suited to fields of photography that are more candid in their approach, such as street photography. That said, to my mind this is as much about the confidence and manner of the photographer as it is anything else. I’m no more confident a street photographer with a Leica than I am with an SLR, but that’s purely down to my overall confidence in those sorts of shooting environments. What does make rangefinder cameras more discrete is the noise they make, or more accurately the lack of it. Because they lack a mirror box and therefore lack a mirror that flaps up and down every time a shot is taken they are arguably quieter to use. This is especially the case in fixed lens rangefinder cameras with leaf shutters which in some cases are barely audible except in very quiet environments. The reduced mechanical movement within a rangefinder camera compared to an SLR can also make them easier to shoot at slower shutter speeds. Releasing a SLR shutter and therefore triggering the very fast movement of the mirror can introduce camera shake. The lack of a flapping mirror in a rangefinder means less movement within the camera and therefore less potential for blurred images. The leaf shutters in fixed lens rangefinder cameras also provide further advantages here when compared to focal plane shutters more commonly found in interchangeable lens rangefinder cameras. Another advantage of the offset viewfinder is the fact that when the shutter is fired there is no momentary blackout of the viewfinder. Of course the blackout of an SLR viewfinder amounts to little more than a blink, but it’s hard to argue with the fact that when you’re in the moment, it is nice to feel like you witness the exact moment the shutter fires. 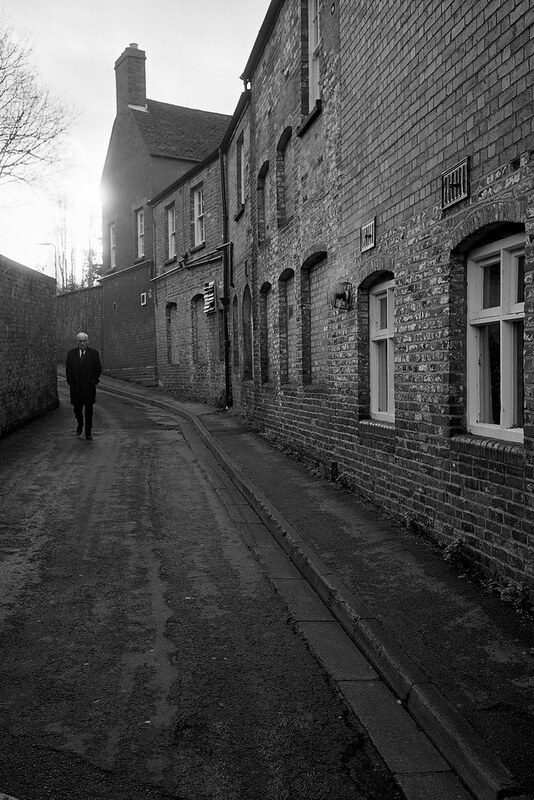 A shot I took with my M7, I was quite excited that this chap was walking down this bit of road. The amount of times I had walked past this spot thinking this would make a good shot. I framed and waited until he was where I wanted him. As I clicked saw the moment I’d visualised and knew exactly what the latent image would look like when it was developed. Something to note (thanks for reminding me Ash) it’s a lot easier to forget to take the cap off the lens when it doesn’t block the view through the viewfinder! It’s obvious to point out that a rangefinder camera with a fixed lens is limited by the merit of what the fixed lens is appropriate for in terms of subject matter/usage. 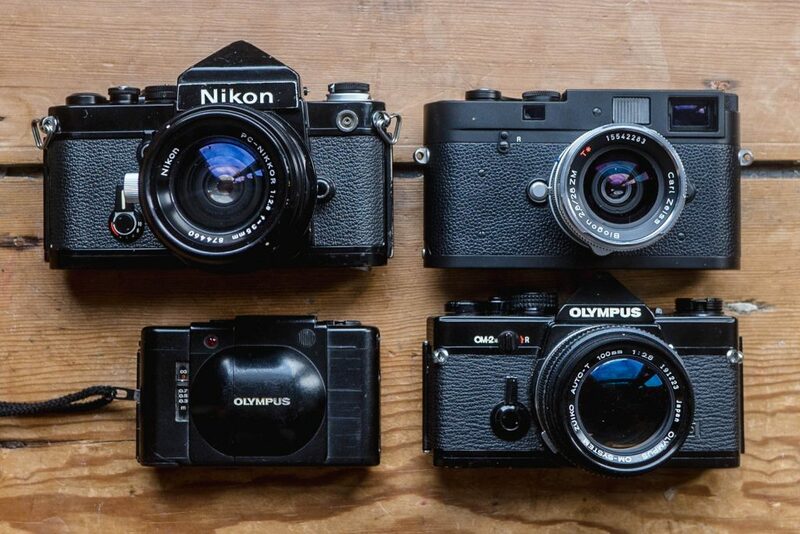 What’s potentially slightly less obvious, at least to the uninitiated, is that rangefinder cameras that allow the interchanging of lenses are still much less versatile than SLRs when it comes to overall lens options. The range of lenses suited to be used on the more common 35mm interchangeable lens rangefinder cameras – at least without accessory viewfinders or adapters – spans from 21mm to 135mm, and even this is stretching the concept. This is due to the very nature of using an offset viewfinder for framing. In simple terms, an offset viewfinder is a viewfinder that is offset from the lens, as such the view is through the finder, and not through the lens as it is with an SLR camera. Above and to the right of the lens as you look at the camera you can see the viewfinder. Next to that is the frame line illumination window and rangefinder window. When you look through the offset viewfinder of a rangefinder camera illuminated frame lines are visible as highlighted edges or corners that approximate the field of view of the lens attached. Wide angle lens frame lines are of course bigger within the viewfinder, whereas longer lens frame lines are much smaller. 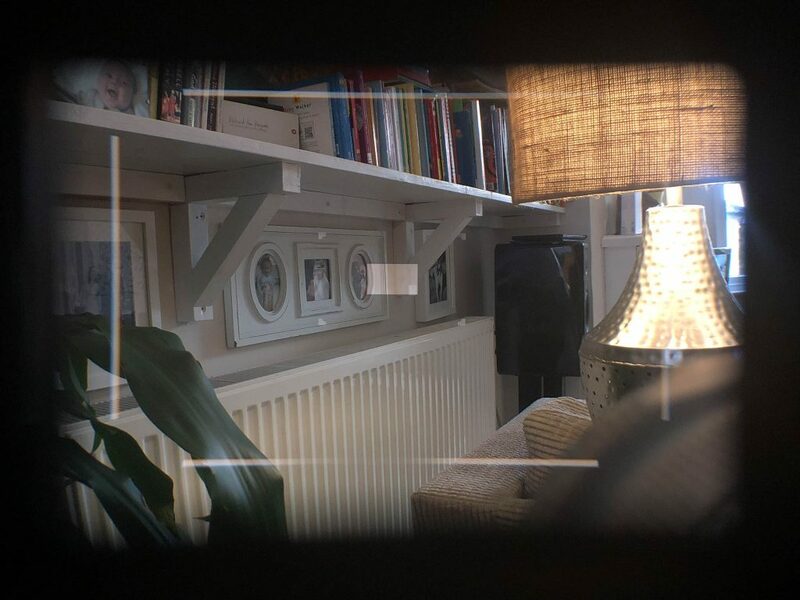 Frame lines visible in the viewfinder of a Canon P – you can just about make out the frame line labels: 35, 50, 100. The 35mm lines are big and very close to the edge of the finder, the 100mm lines are the smallest. Note: frame lines are easier to see with a camera to the eye – it’s not easy to photograph them in a way that does them justice. 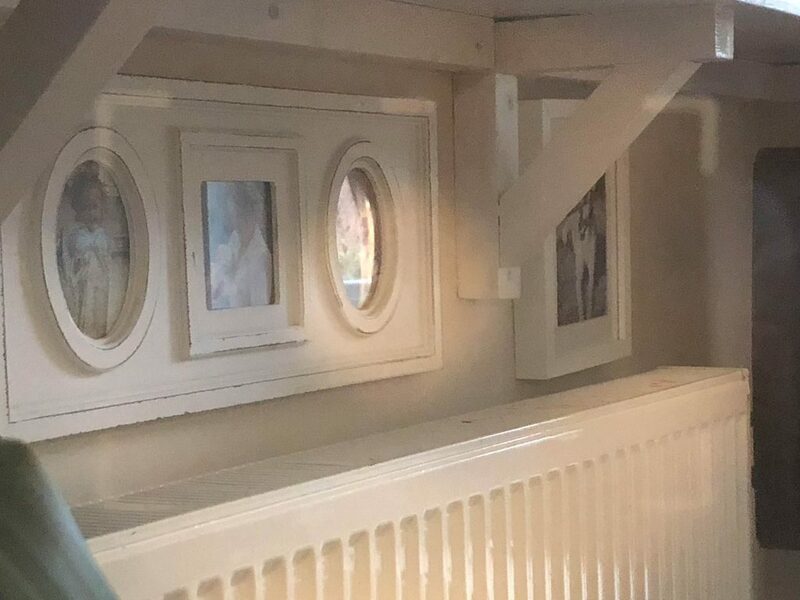 The interesting thing about frame lines is that as well as allowing the photographer to see what’s inside the frame, in most cases they also show what’s just outside the frame too. I talk a little about how I find this an advantage in this post here, and then reflect further on those thoughts in a couple of much more recent post about some of my experiences shooting an SLR here and here. The most commonly talked advantage of being able what’s outside the frame is that it can help the photographer make decisions about when the best time to fire the shutter is. Being able to see what’s just about to enter the frame is definitely seen as an advantage for many photographers who use rangefinder cameras. Of course, because of parallax error (which I will come to in a mo), and because of such issues as focus breathing, framing is arguably a lot less accurate than that given by an SLR, at least without a good bit more experience. But somehow, for many photographers, this doesn’t feel like a big disadvantage in use. Again, as I talk about in my linked-to posts, rangefinder framing feels somehow more implied than the what-you-see-is-what-you-get framing experience that SLRs feel like they provide. 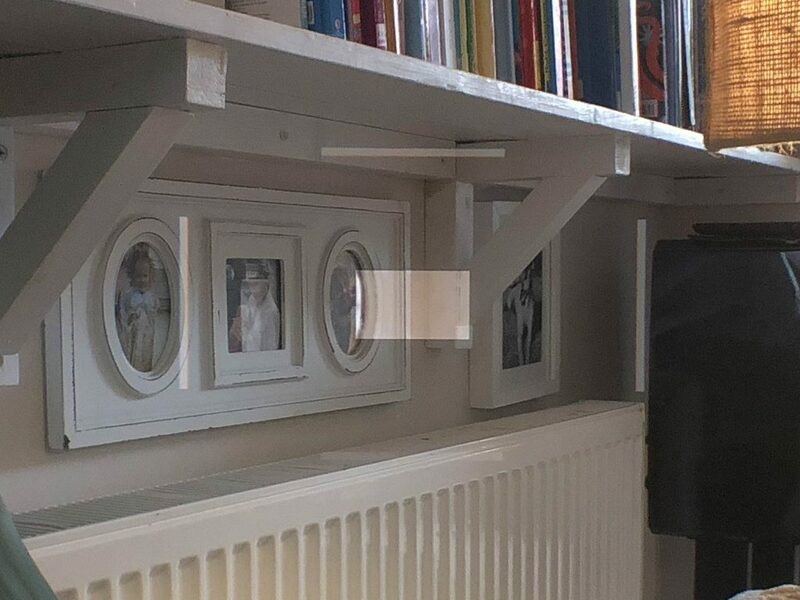 With offset viewfinders I somehow find it easier to contextualise my pre-visualised frame. Because I’m seeing through what amounts to something more similar to a window rather than a lens, the view isn’t impacted depth of field or darkened by the aperture of the lens. As such, it’s imagination that combines with the camera settings and the scene to capture the frame I have in my head. For me this is much more satisfying than having a the camera impart itself so strongly on the process. Of course, this is one area where those who like verses those who dislike the rangefinder camera experience disagree the most. The size of the frame lines within the viewfinder is also dependant on the magnification of the viewfinder. 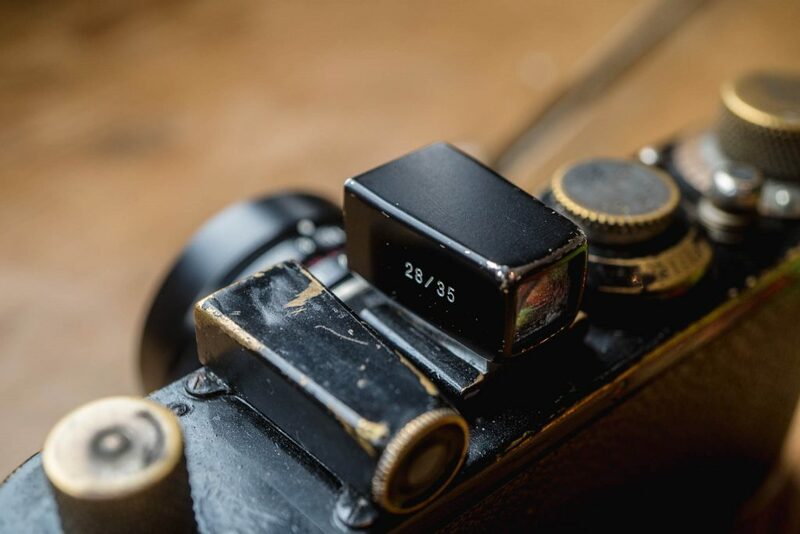 The most common magnification found on Leica M mount rangefinders is 0.72x. 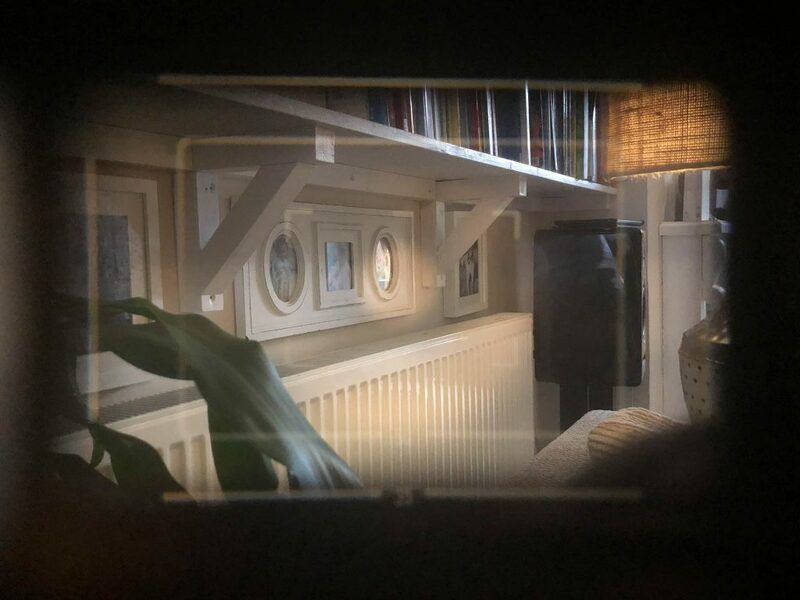 That is to say that the viewfinder has a negative magnification factor, so the view through the finder appears 0.72x smaller than the real world. 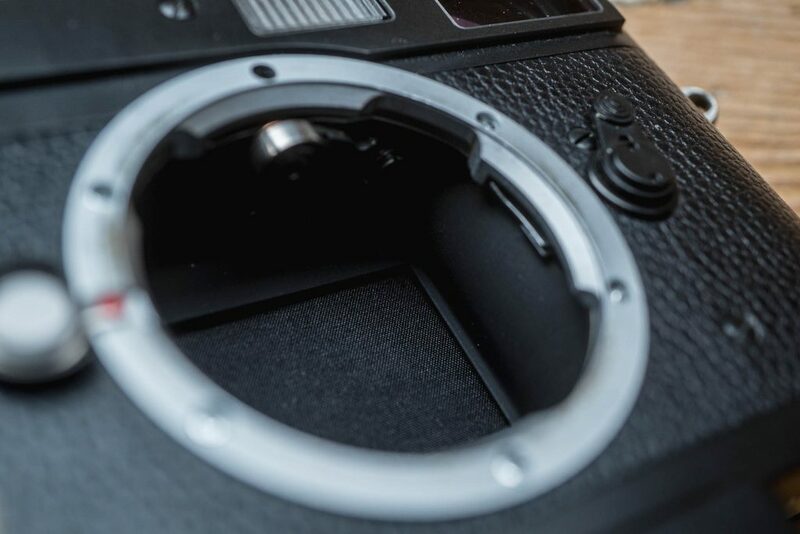 The 0.72x finder allows for 28mm, 35mm, 50mm, 75mm, 90mm and 135mm frame lines to fit and be visible within the finder. That said, the 28mm lines are so close to the edge that people with glasses can’t see them, and even those who can don’t get the advantages of being able to see much outside of the frame. At the other end of the spectrum the 135mm frame lines are so small they are pretty much useless without adding a viewfinder magnifier. For wider angle lenses a camera such as the Voigtlander R4a and R4m can be used. These cameras have a 0.52 magnification viewfinder that allows for frame lines as wide as 21mm to fit into the view through the finder. The disadvantage here is that they also don’t have frame lines above 50mm. The Leica M3 has a 0.91x viewfinder and as such has much bigger 135mm frame lines, but doesn’t have lines for lenses wider than 50mm. Some rangefinder cameras, such as the Nikon S2, Canon P and Voigtlander R3a/m (to pluck a couple out of the air) have 1.0x magnification viewfinders. These aren’t as suited to use with wider angle lenses, but they do also allow you to use the camera with one eye looking through the viewfinder and the other open – this has the odd effect of seeming to project frame lines onto the world in front of you. This is something you need to see to believe – some love it, I don’t personally find it an advantage, though it’s fun once in a while. If you wish to use wider lenses on something like an M3 ideally you need to use some sort of accessory viewfinder. Wider angle lenses are much better suited to accessory viewfinders as they are easier to zone focus. 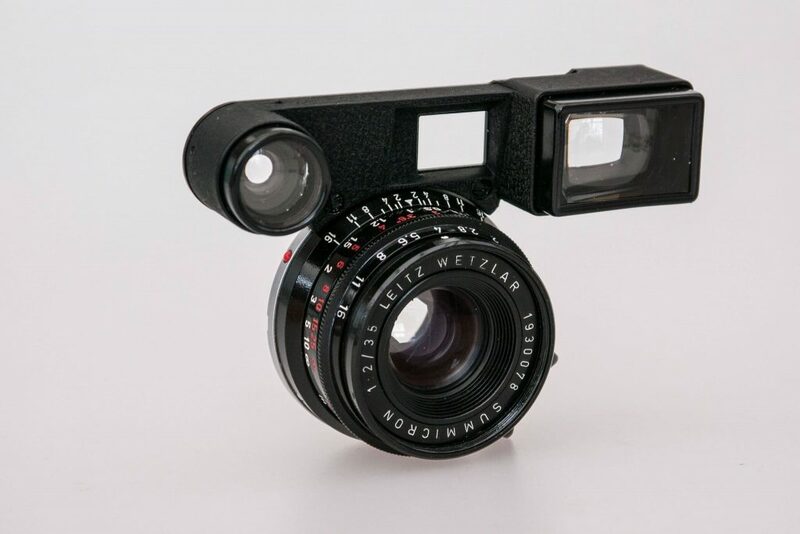 For use on the M3 Leica also developed 35mm lenses that came with “goggles”. The goggles sit in front of the viewfinder and rangefinder and change the magnification of the view so the 50mm lines in the viewfinder work as 35mm frame lines. Leica also developed a 135mm lens with goggles that in a similar way allowed the use of a longer lens with the larger 90mm frame lines. As if all that wasn’t complicated enough, both built in offset viewfinders and accessory viewfinders also have the limitations caused by parallax error. Parallax error occurs because the closer the subject is to the camera the more inaccurate an offset viewfinder is. 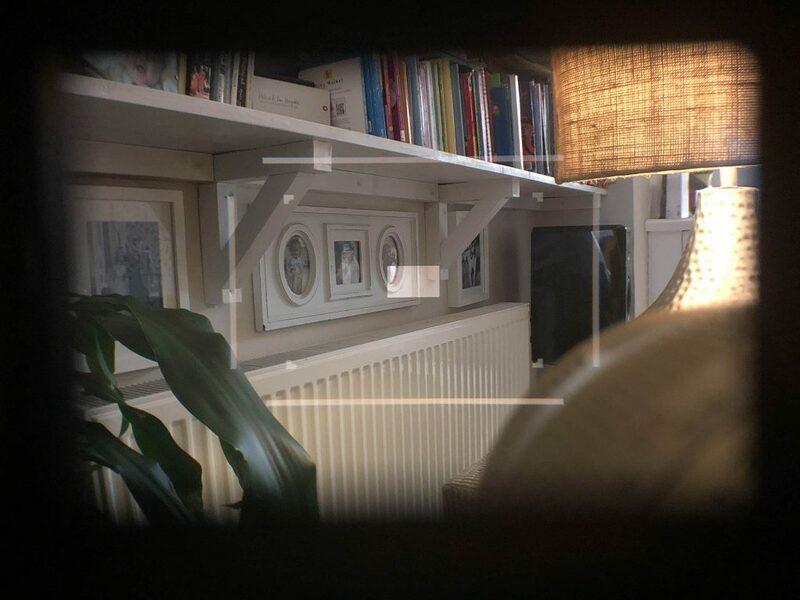 Because the view through the viewfinder isn’t through the lens, the difference between the view through the finder and what the film/sensor sees through the lens is great enough to throw out the framing. Some rangefinder cameras have parallax correcting frame lines which move within the viewfinder as the lens is focused to compensate for the error. 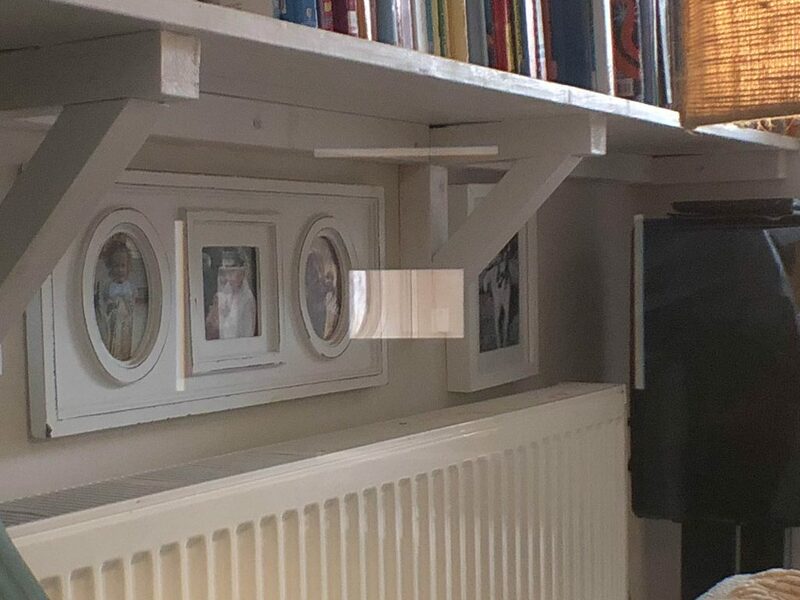 Of course accessory viewfinders which aren’t mechanically linked to the camera don’t have these, though many do have extra notches on the frame lines that approximate the corrected frame at a closer distance (usually 1m). Accessory finders also don’t display any other information the main camera finder displays, though if you’re interested in shooting a rangefinder camera, limited information in the viewfinder is something you might need to to get used to. It’s also worth noting that parallax error is one of, if not the main reason rangefinder cameras don’t focus closer than 0.7m – to correct for closer distances, the viewfinder would have to be closer to the lens. Specifically in interchangeable lens rangefinder cameras, there is very little in the way of communication between the camera and the lens. 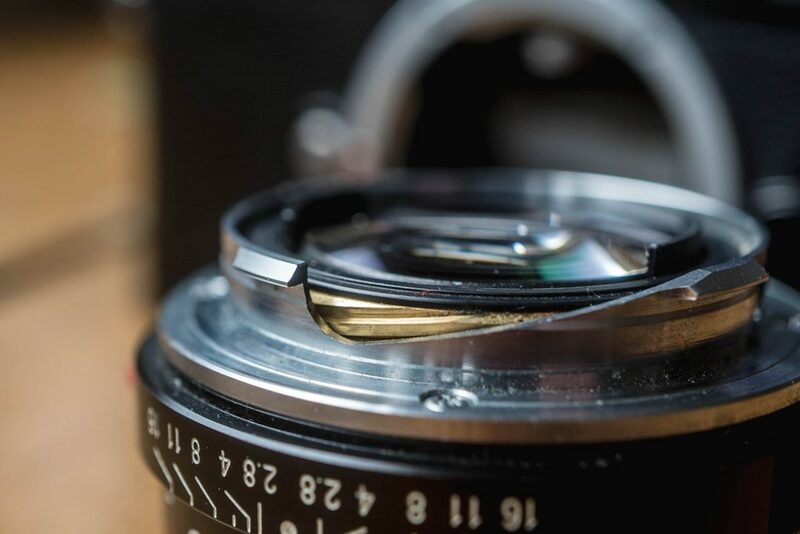 Unlike SLR lenses, which especially in the case of modern kit, can have multiple electronic linkages to feed information back and forth from the camera, rangefinder lenses are comparatively very simple and only communicate with the camera in a few basic ways. 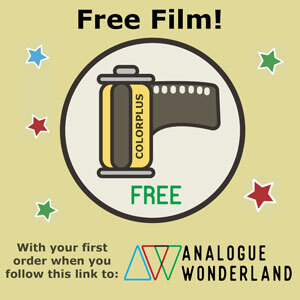 The key to the concept of the rangefinder camera is what’s called rangefinder coupling. All fixed lens rangefinder cameras do this (it’s what makes them rangefinder cameras). As mentioned at the beginning of this post, interchangeable lens rangefinder camera systems rely on a cam on the lens that interacts mechanically with the camera so it knows the lens’s focused distance. This is then displayed via the rangefinder patch in the viewfinder. This same system is also responsible for the moving of the parallax correcting frame lines in cameras that have this feature. A feature unique to m-mount rangefinder cameras is the automatic activation of the correct frame lines for the lens that’s attached. Many thread mount rangefinder cameras require the appropriate frame lines to be manually selected, or they just show all the frame lines simultaneously. This is the same for Contax and Nikon mount rangefinder cameras. It’s also worth pointing out that not all Leica m-mount cameras have automatic frame line activation. The Voigtlander range of m-mount cameras have a switch on the top of the camera. Digital Leica cameras also have something called 6-bit coding. 6-bit coding is basically fancy-talk for a series of black and white dots on the lens mount that the camera reads to tell it the model of lens attached to the camera. This allows the digital camera to make compensations for shortcomings rangefinder lenses have when used with digital cameras such as vignetting and colour shifts. Leica only include lens profiles for their own lenses, so with third party lenses lens profiles for similar Leica lenses can be selected. The result of the lack of communication between camera and lens in interchangeable lens rangefinder cameras limits the amount of potential for information to be displayed in the viewfinder. Whilst some fixed lens rangefinders tell the user the selected aperture and or selected shutter speed, with interchangeable lens rangefinders the most you can hope for is a basic meter readout, or if you’re really lucky you might be shown the selected shutter speed. 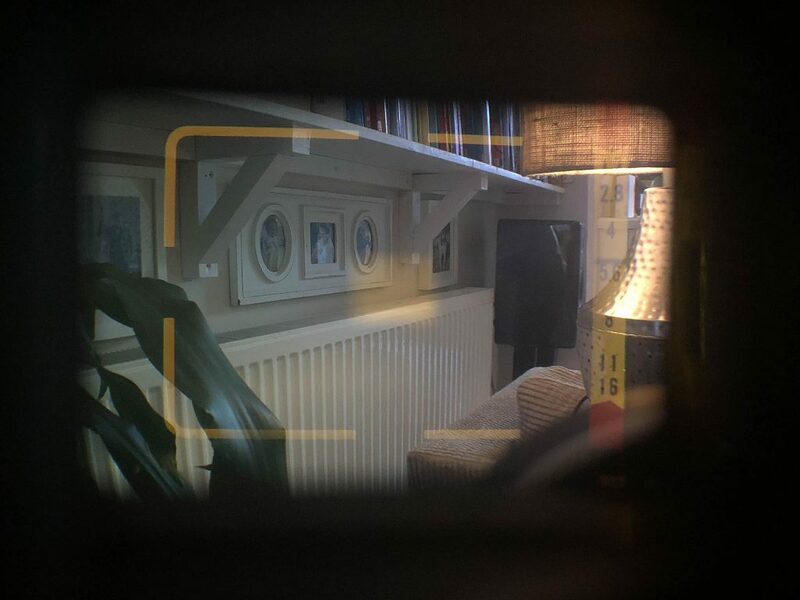 As mentioned, correct focus is obtained via a secondary triangulated image being projected into the centre of the viewfinder. Whether or not this method of focusing is suitable for one person to the next is subjective. Some people find rangefinders very easy to focus with, others prefer split screen and matte screen focusing in SLRs. For me and my eyesight, I find rangefinder patch focusing the easiest method. That being said, what makes things slightly more complicated is that all is not equal in the world of the rangefinder patch. Rangefinder patches essentially come in two types. Those with a distinct solid edge and those with a soft fuzzy edge. The solid edged patches primarily found in m-mount cameras (including Leicas, Voigtlanders, the Zeiss ZI, the Konica Hexar RF…) are in my opinion easier to focus with. The solid edge brings the advantage of an overlaid triangulation of focusing, but they also give some of the feel of split screen focusing. 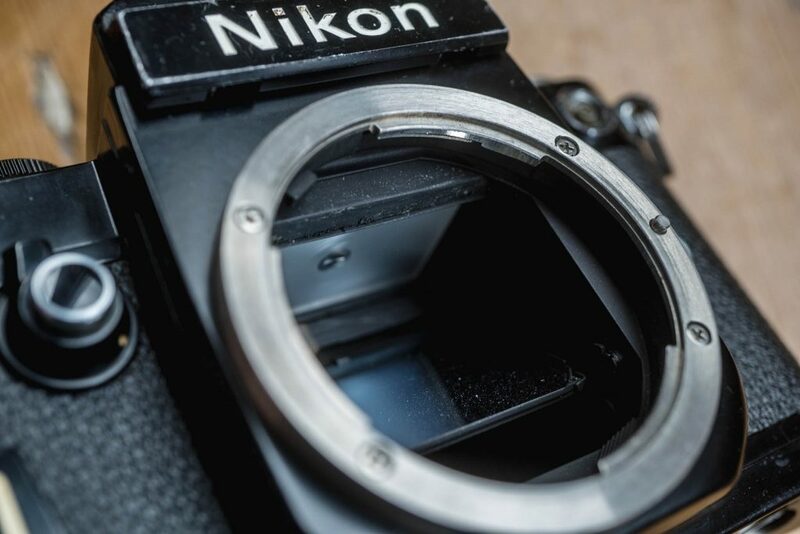 Soft edged rangefinder patches commonly found in fixed lens rangefinders, Contax and Nikon rangefinders and indeed pre-m-mount Leica cameras might be just as accurate, if not more, but without the solid edge can be harder to use. Something else to take into account is a thing called rangefinder “effective base length”. Fortunately for the length of this post I have covered off this topic separately here. I also go into more detail about rangefinder patch types in that post too. In brief, the effective base length of a rangefinder directly impacts on how reliable focusing is. A longer rangefinder base length results in more precise focusing. This is why smaller rangefinder cameras are less precise; their size means a shorter rangefinder has to be implemented and therefore focusing isn’t as accurate. One final issue to point out with rangefinder cameras and framing with them is the issue of larger lenses being visible in the viewfinder. This issue does depend a little on the focal length and size of the lens. The wider angle the lens the larger the frame lines, the more chance the lens will be visible in the viewfinder. Before I conclude, I just want to touch on the likes on the Contax G cameras and modern Fuji digital cameras. These cameras, through their lack of mirror-box and inclusion of an offset viewfinder offer similar handling and have some parity in user experience. They aren’t true rangefinder cameras though, as they lack the patch-based manual focusing. The Fuji cameras in their optical viewfinder mode do allow you to see outside of the frame, and also have digital focusing aids quite similar to a rangefinder so can give a very similar user experience. Contax G cameras don’t have frame lines, don’t have a rangefinder patch and are much better suited to being used in their autofocus modes. Some people still consider them to be rangefinder cameras because of their similar handling, but I prefer to think of them as larger form factor interchangeable lens compact cameras. As I said at the beginning of this post, much of this is quite hard to quantify as being either negative or positive for any given photographer. 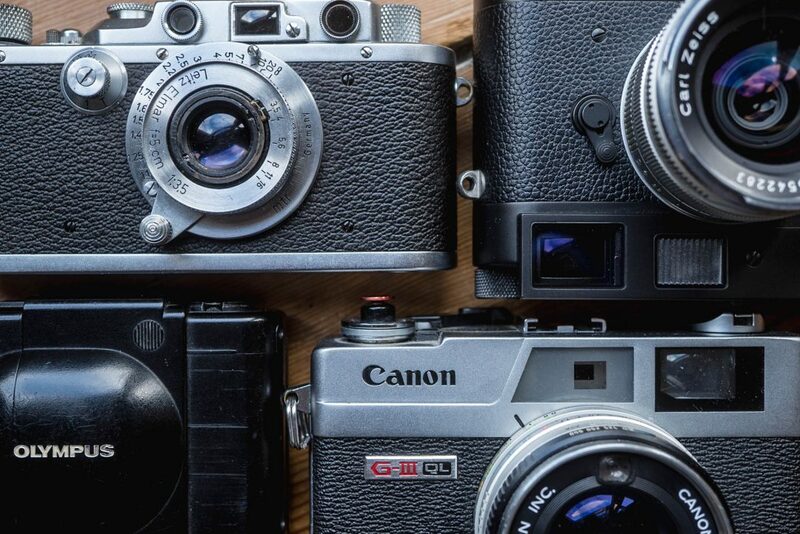 Based on the objective facts alone it’s true that it’s possible to identify some obvious short comings and advantages the rangefinder camera can bring. For example, whilst a wildlife photographer will arguably find advantage in a camera that doesn’t cause much vibration or noise, they’re also likely to find the limitation of a 135mm maximum lens a problem. 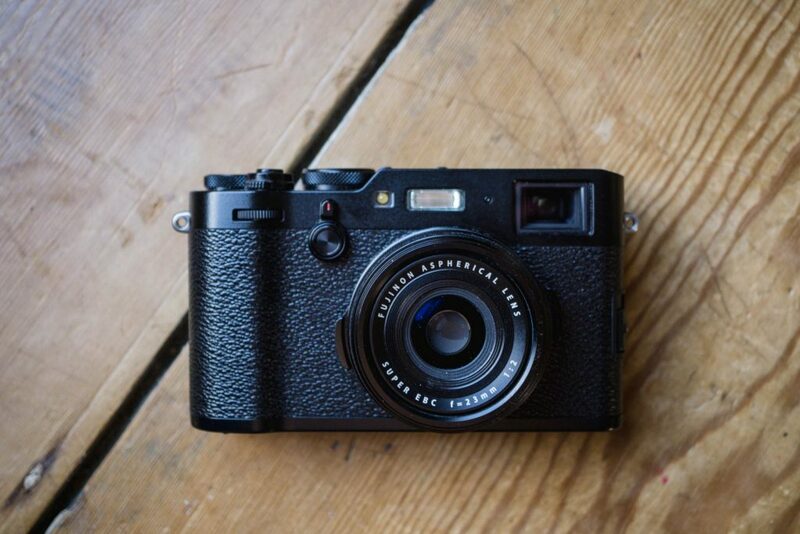 On the other hand a street photographer who wants a small well balanced camera with a 35mm lens attached that’s quiet and feels discreet to use might be drawn to the rangefinder experience. The problem is, there’s more to what makes rangefinder cameras attractive or otherwise than the more obvious pros and cons. As I talked about in the couple of paragraphs about frame lines, and indeed the couple of posts I link to, shooting a rangefinder is very different experience to shooting an SLR. For me – and actually I suspect most rangefinder camera photographers – this mostly comes down to the experience of using a camera with an offset viewfinder and frame lines. The experience of being able to see what’s just about to come into the frame verses the more accurate framing an SLR brings might seem like something quite small, but in practice there’s so much more to how this difference impacts on the process of taking a photo. Ultimately, I’d never like to prescribe the use of a rangefinder to anyone for any type of photography any more than I’d prescribe the use of any other type of camera – the variables are simply too great. But, what I can say is this, for the right type of photography, for the right type of photographer nothing comes close to the experience of using a rangefinder camera. I enjoyed this article Hamish. I’ve never shot with a rangefinder before, but I’m now curious to try one out. Unfortunately Leica is way out of my price range, but maybe a Canonet could get me started. I’d imagine you’ve done a review on it? I’m a user of both SLR’s and rangefinders. A few aspects I like regarding rangefinder shooting is that hyperfocal or zone focusing with a rangefinder means that even though I’m focusing via the depth of field on the lens I’m always seeing a sharp in focus image in the viewfinder. With an SLR shooting hyperfocal you’ll often be composing with an out of focus view in the viewfinder. Similar to this is that shooting slow lenses on an SLR can be a little more difficult as you can be dealing with quite a dark viewfinder and some times a blacked out split image or microprism patch. This of course is a non issue with the rangefinder. Same goes with coloured filters. And then we have the dreaded ‘Ive left the lens cap on but didn’t know’ situation which has visited every rangefinder photographer at some point!! Added a line about the lens cap, good shout! 100% get your point about the issue of shooting an SLR hyperfocally too! A good trick with rangefinders – stick a quality UV filter (or whatever colour you fancy if shooting B&W) on your lens and get rid of all your lens caps. You’ll never accidently leave a lens cap on and shoot a blank, and it has the bonus of always being ready to go! I agree with your points though, especially regarding colour filters (I love using yellow filters with B&W but hate having a yellow SLR viewfinder), and blacked out focussing/dark VF with slower SLR lenses (my Takumar 50/f4 Macro rarely gets used because of this, despite being an exceptional lens). Owning a Mamiya 6 taught me I dont like rangefinders. For me, it’s the lack of a beautiful ground glass combined with the need to still focus using focus aids. Just give me an SLR with a split prism or a fully auto point and shoot! Great post filled with tons of information! Thanks Andrew, pleased you enjoyed it! Excellent article, really informative. I must save up and get me a rangefinder! I’ll keep my Leica M4-P and Fuji GF670 rangefinders, but I’ll alway have an SLR on hand for use with my shift lenses. The Leica is best for Canadian winters, but my Olympus SLR is best for European cathedrals. I’ve just recently started a project involving shooting architecture project – of course there is no way I could do it with an RF… I’ve enjoyed using the Nikon F2 and 35mm shift lens a great deal! Excellent written article – in the end the decision is very subjective and for me it never was rangefinder vs singlereflex – it was which system for which task ! In my personal opinion today’s autofocus systems are faster and more accurate than any optical technic before and mirrorless adds that its more quieter too even than a analog Leica ! This is a great article, Hamish! It was a great read. How did you take a photo of the viewfinder by the way? 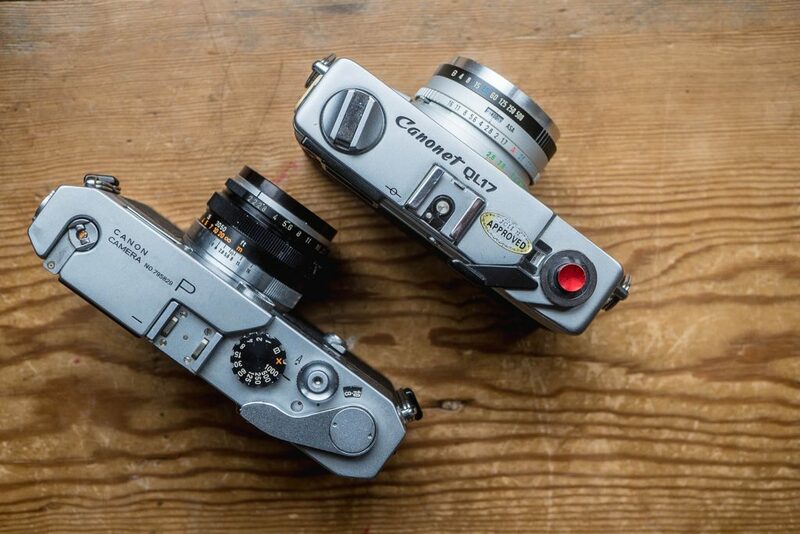 Hamish writes- ” Contax G cameras don’t have frame lines, don’t have a rangefinder patch and are much better suited to being used in their autofocus modes.” Now don’t be sad…two out of three ain’t bad. 🙂 Contax G cameras most definitely have frame lines. Your other two points are indeed correct. Are you sure? Doesn’t the whole viewfinder shrink or expand depending on the attached lens? Hamish, Contax rangefinders have no frame lines at all. The basic design was updated and improved upon, I understand, in the last versions of the Nikons. I rather suspect you’ve simply thought that the Contaxes must be the same, hence why you lumped them in with Nikon. Re rangefinder base length and EBL, I’ve not seen any published article about the validity of the claims that are made for larger viewfinders affecting rangefinder accuracy or even why EBL needs to be calculated. Rangefinding is basically triangulation and so the longer the rangefinder base the more accurate will be the rangefinder in engineering terms. As far as I understand it, all that larger viewfinders enable is easier and more accurate setting of the rangefinder by the user. It would be easy to assume two rangefinder base lengths, one long, the other shorter, and by assigning a theoretical viewfinder magnification of the camera with the shorter base length it will be possible to achieve an equal EBL for both rangefinder lengths. But I can’t see how the shorter base length will equal the focusing accuracy of the longer. Hi Terry, Surely with higher mag finders it’s as simple as the subject matter appearing closer therefore detail being easier to see and focus on? Hamish, yes, I agree. The larger the viewfinder magnification the easier it will be for the user to see and focus on. The proof is how much easier it is to focus my M3 than my Contax III with its enormous base length of 90mm. But the efficiency of the Contax really kicks in as one focuses closer where its focusing resolution really kicks in, especially beneficial with wide aperture lenses. But I was making the point that the accuracy, per se, of a rangefinder, in engineering terms, is mostly dependent upon its base length and thus quoting EBL does not of itself make a rangefinder more accurate. And this gets to the point of what I was questioning: just what does EBL tell us about the physical accuracy of the rangefinder itself? I suppose it’s like a guide. As Brett talks about, as I do in my EBL post, and as you do there is more to the story. But like with MTF charts or vehicle horsepower, or basically any statistic ever written there is often more. With enough background knowledge you can assimilate a more full answer, but without it, at least it gives you something to go on… I suppose? I’ve been reading this again and have a question about rangefinder coupling. Do third party lenses have a cam similar to Leica lenses? 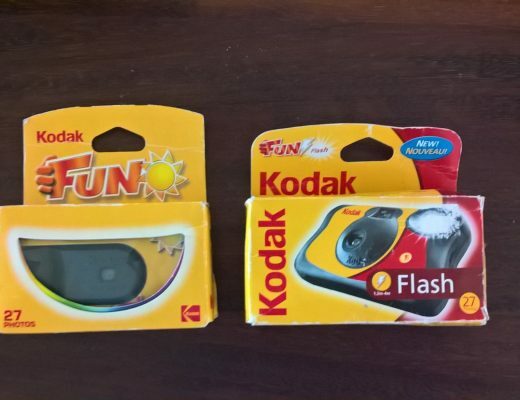 I have a few FSU lenses, eg Jupiter, which don’t seem to have it, so how would these have worked on “Leica copies” such as Fed or Zorki? 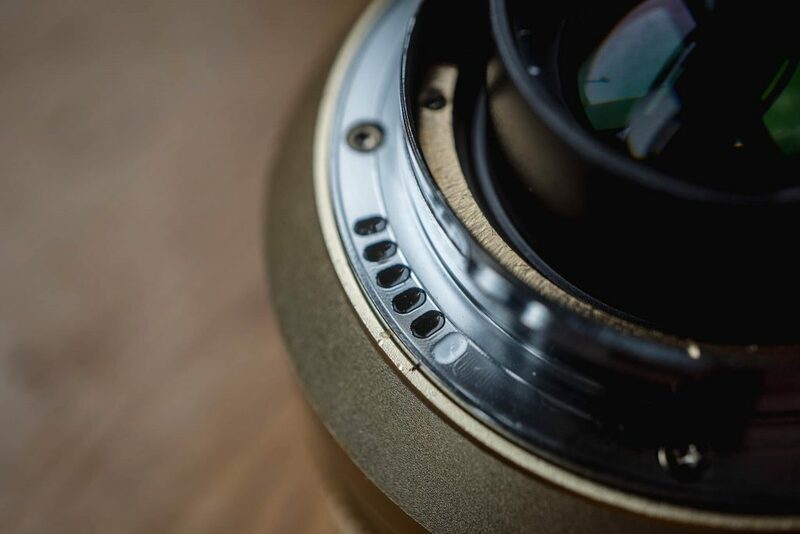 The cam on ltm lenses is the rear flat part of the lens that moves back and forth when the lens is focused. I’ve just read this article. Most of it. I had add it to my FAVOURITES as it’s the most comprehensive and easiest to understand piece I’ve read about a subject I’m interested in but until now couldn’t quite get. Thanks for going into as much detail as you have but not turning it into a text book! Thanks Robert, glad you liked it! Great article, I enjoyed reading it a lot. For me, using rangefinders is a lot more fun than using slr’s. It’s gives me more satisfaction if I nail the focus, and the process forces me to think more about the composition. There are also Direct Vision cameras, best represented by the Leica MD (it followed the M1 1959-64) the MDa (actually an M4) and the MD2 (an M4-2 . These are now popular with wide angle lens devotees who affix the appropriate viewfinder in the accessory on top of the body. I use a pair of MDa bodies with a 3.5cm f3.5 Summaron and the SBLOO 35mm viewfinder. I meter with a Sixtomat Digital and the whole outfit is carried in a Billingham Combination bag M with films, spare AA battery for the meter and a Filofax in the front pocket. I’ve visited many countries with this very rugged outfit as the bodies have no viewfinders or rangefinders to get damaged. In use, when the film runs out I simply exchange lens and viewfinder for the body cap on the second body and keep shooting. Focus is by the Hyperfocal distance method that, once set, remains put unless the light changes. Great latitude in XP2 absorbs slight exposure variations.